Hinting that it might refer the contentious issue of women entry into Kerala’s Sabarimala shrine to a constitution bench, the Supreme Court today asked the parties, including the amicus curiae, to furnish questions which can be referred to the larger bench if it eventually decides that way. The bench headed by justice Dipak Misra reserved the verdict on the question whether the matter should go to a larger bench or not. “It is hereby directed that the Ld counsels for the parties shall file written submissions/ questions which should fall under the constitutional framework, that is likely to be referred to the larger bench”, the bench said. The apex court had on July 11, 2016 also indicated that it may refer to a five-judge constitution bench the issue of the centuries-old practice of barring entry of women between 10 and 50 years of age in the historic Sabarimala temple, saying it pertains to violation of fundamental rights. 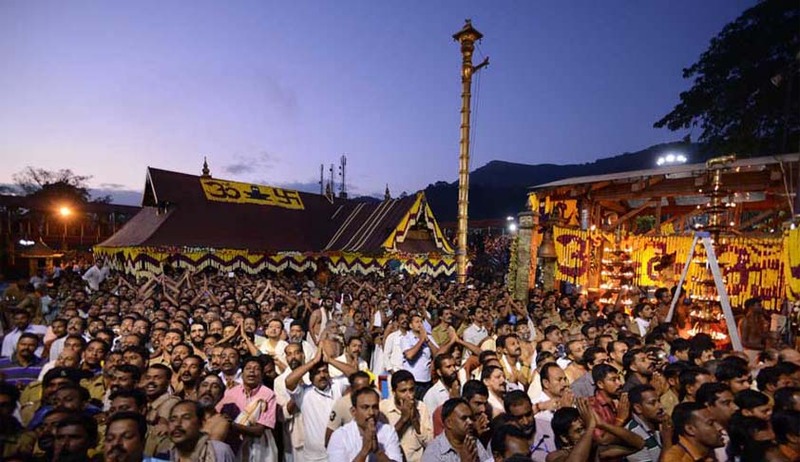 The Supreme Court was told on November 7 last year by Kerala government that it favoured the entry of women of all age groups in the historic Sabarimala temple in the state. The counsel for the state government, which had earlier supported the ban on women's entry in the temple in its additional affidavit filed in July this year, had told the apex court it will now go by its original response filed in 2007 favouring entry of women in the temple premises. Initially, the LDF government had taken a progressive stand in 2007 by favouring women's entry in the temple, which was over-turned by the Congress-led United Democratic Front dispensation later. However, the UDF, before losing power to the LDF this year, had taken a view that it was against the entry of women of the age group of 10-to-50 years into the temple as such a practice was being followed since time immemorial. On being asked as to what is the stand of the state, senior advocate states that the state intends to place reliance on its original affidavit (2007) and not on additional affidavit...women of any age group should not be debarred from entry into the temple to worship the deity, a bench of Justices Dipak Misra, R Banumathi and Ashok Bhushan said. The bench also recorded the submission of senior advocate K K Venugopal, appearing for the Travancore Devaswom Board which manages the hill-top shrine, that the state cannot afford to alter its stand as per their convenience.